Ms Maude is a salon-only product that can only be bought from a licensed hair salon or from Ms Maude herself on this website. Ms Maude saw a huge gap in the market for a natural easy to use hair care range. Hairdressers & their clients were complaining that they couldn’t get shampoo and conditioner out of bottles because of complicated and difficult packaging with some other high-end brands. Ms Maude kept the packaging simple. No wastage & colour saving. 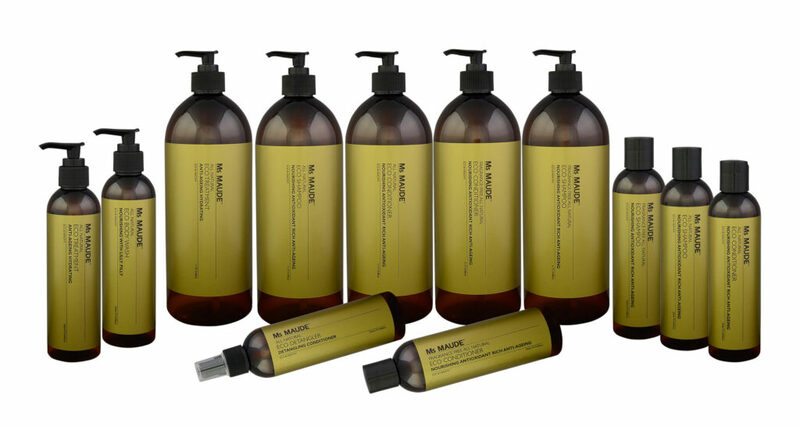 All bad additives have been kept out of Ms Maude products, however, they are very nourishing and will make your hair and skin feel like silk. There are 3 types of fragrances manufacturers generally use in their products – Synthetic Perfumes. Fragrant oils – still synthetic. Essential Oils are distilled typically by steam or water from the leaves, stems, flowers, bark, roots or other plant parts. Essential Oils contain the true Aromatic Essence of the plants and offer many therapeutic benefits that span beyond their pleasant aroma. A lot of companies have jumped on the bandwagon with natural products, however, all they have done is take everything out. Their products can make the hair feel like straw and the skin dry and irritated. For Ms Maude, natural and healthy is a lifestyle and born from wanting to make a difference and to promote natural, healthy, high self-esteem for strong beautiful women and men.